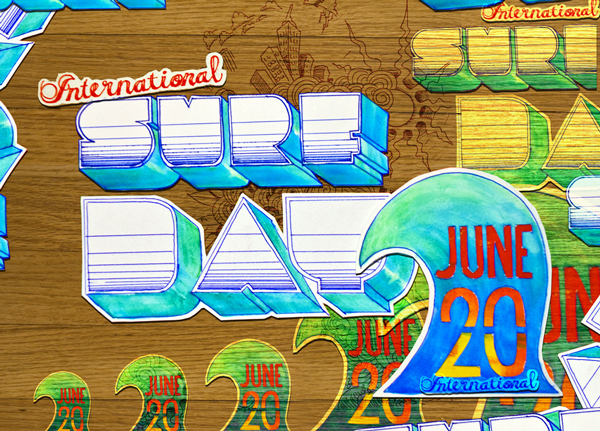 Poster for International Surfing Day on June, 20th 2010. Originally drawn by hand with pen and water color. Layered paper to create depth, then edited in photoshop. The artwork for a full page magazine ad in Kiteworld Magazine. 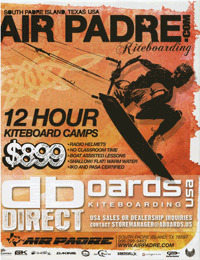 Advertising Air Padre Kiteboarding Camps for $899. 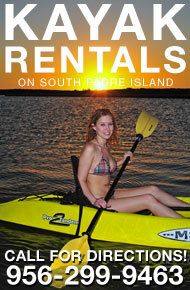 Full boat support, radio helmets, and no classroom time for 12 hours of kiteboarding camps on South Padre Island, Texas. 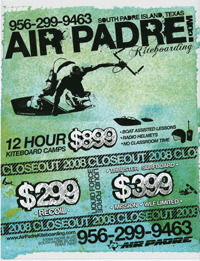 It was also advertising 2008 closeout kiteboarding equipment from Liquid Force. The price tags were all hand drawn. We like to incorporate drawings with digital art for originality reasons. This artwork is for the second run of the Kiteworld magazine advertisment. 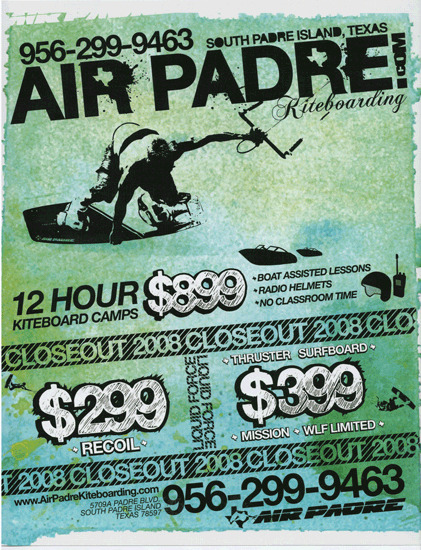 Air Padre Kiteboarding focused primarily on the advertisement of Kiteboarding Camps, which emphasizes full boat support, radio helmets, and no classroom time for 12 hours of kiteboarding camps on SPI. 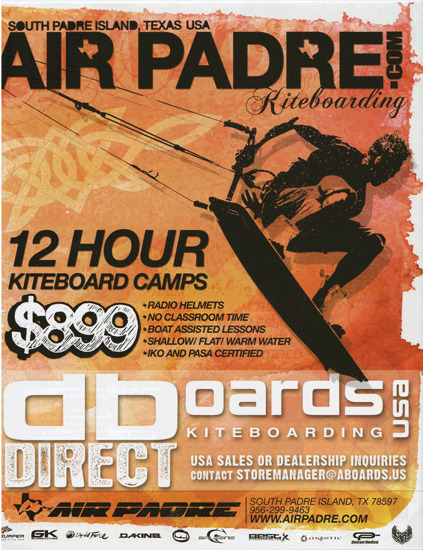 It also touches on the newly form ABoards Kiteboards distributorship that Air Padre gained. The price text was taken from the first ad's run, and the background was created with watercolor.